A wedding ceremony is an event where two people who share the bond of love are united in marriage. Wedding traditions and customs are different for different cultures, religions and regions, although there are few events which are common in all the wedding ceremonies like exchange of vows and garlands. Bengali wedding ceremonies also include all these events along with some exclusive rituals and the couple that is getting married wants every moment to be preserved in the form of beautiful albums and pictures. Shaadisaga lists some of the best Bengali wedding photographers in Kolkata who are experts in their field. These photographers and videographers are skilled and well-equipped, hence by hiring them you will have all the beautiful moments of your big day captured in beautiful photographs and videos. They are capable of capturing photos and videos in such a way that whenever you will see them, you will be transported to the big day of your life. Wedding photography is not about just clicking the photos and putting them into an album randomly. There are many factors involved in presenting the special day of the couple in an amazing way. There are different types of techniques used to cover a wedding ceremony. It is important that you know about these types, so that you can make a choice accordingly. These days, couples are interested in natural pictures and are not interested in posing for pictures. Candid photography is about capturing the moment rather than just people. Photographers capture moments of laughter, giggles, emotions and anxiety without the person’s knowledge. Such type of photography requires skills as well as creativity to capture the wonderful moments perfectly and hence, you need to pay more for it. You can find the best candid photographers in Kolkata on ShaadiSaga. Traditional photography is about getting clicked in portrait poses with a smile on the face as directed by the photographer. This type of photography does not require much creativity or high-tech equipment and hence it is quite inexpensive. You can find many budget wedding photographers in Kolkata on Shaadisaga who are experts at traditional photography. In this cinematography, your wedding is presented as a film dictating your story. The videographer shoots short clips and combines them together to form a story of 30 to 40 minutes. The cinematographers are immensely skilful and the cameras used by them are also of the highest quality. Therefore, it is an expensive option. Shaadisaga can help you find the best cinematographer in Kolkata. Traditional videography is similar to traditional photography, where videographers ask for certain poses with a smile on the face of the subject. All the events in the ceremony are recorded in a video of 3 to 4 hours. Like traditional photography, it is also an inexpensive option as not much creativity and high-tech equipment are involved. You can find the best traditional videographers in Kolkata on Shaadisaga. This trend in wedding photography has reached India from Western countries. Pre-wedding photo shoot is done months before the wedding and it features the beautiful romancing couple at a beautiful outdoor location. Shaadisaga lists some of the best pre-wedding photographers in Kolkata from which you can choose the one most suitable for you. Our experts can also help you in selecting the best pre-wedding shoot locations in Kolkata. If you want the most important day of your life to be captured in monochromatic images, you can choose the option of black and white photography, which helps to capture raw emotion. Shaadisaga can help you find the best photographer with the skills to do justice to black and white photography. These days wedding photography is done with the help of automatic aircraft called drones, which capture every moment of the ceremony from an aerial viewpoint. If you have a huge budget for photography, then you can choose this option. You will get an extremely high-quality video and photographs captured from a unique perspective. Search for wedding photographers in Kolkata who possess drone camera on the ShaadiSaga website. For vintage photography, you need to take tips from the photographer for the decoration of the venue as well. This type of photography makes everything look dreamy and placed in another era. Here, editing tools of the photographer along with high-tech equipment are very essential. You can find the top vintage wedding photographers only on Shaadisaga. If you think you are an artistic couple, then you can go for the artistic wedding photography. This photography expresses love, romance, beauty, celebrations in an artistic way. However, this can’t be done with every couple. So, if you think, you have that spark, then search for artistic photographers in Kolkata on Shaadisaga. From venue selection to invitation cards and from decorations to the food menu, everything needs to be planned perfectly for a wedding ceremony. While planning for all these things, it is also imperative to choose the right wedding photographer. There are certain things you have to remember, certain things you need to discuss and a few mistakes you must avoid in order to hire the best Bengali wedding photographer in Kolkata. There are different types of photography like candid, vintage, traditional, artistic and many others. It is important that you read about the different types of techniques used in wedding photography to get an idea of what you want for your own wedding. Once you decide on the type of photography you want, plan your budget. It is important to note that, candid, vintage, drone, artistic and cinematic photography are the expensive options while traditional photography and videography can be done in a low budget. Shaadisaga has both expensive as well as the budget wedding photographers in Kolkata on its listing. You can make the choice accordingly. After going through the list of the photographers on ShaadiSaga, select a few that meet your needs and budget by having a close look at their packages and ask them for the quotes. Check their previous work by means of the portfolio and see if they are the experts in covering Bengali wedding. Their portfolio will also help you to know about the quality of their work. Once you are done with the research work and have zeroed down on one of the best wedding photographers in Kolkata, book them as soon as you can. If you have any queries, you can ask for the suggestion from our experts at Shaadisaga. When you are in the process of hiring one of the best wedding photographers in Kolkata , you must discuss your needs and requirements with them beforehand. Inform them about the events that will be happening during the various functions. Starting from functions like haldi and mehendi, they should know the sequence of events as well as where all the action will be taking place, so that not a single moment is missed. Tell them about the date, time and venue of the event to confirm their availability. Inform them about your budget and check which package offered by them fits into it. Also discuss about other charges including taxes and rent of. You must also discuss about payment policy, cancellation and refund policy and other important things related to the payment. If you are interested in a pre-wedding photo shoot, then discuss ideas and ask for the suggestions for location from the photographer that you have chosen. You should also discuss the decor of the venue in order to set the best background for video and photography. Why should you trust Shaadisaga for choosing wedding photographers in Kolkata? Shaadisaga is the most popular wedding planning website in India. It is associated only with skilled and experienced professionals. The wedding photographers listed on our website have undergone strict background checks to ensure that they provide the best quality services. Every detail about these wedding photographers is verified by our experts and only after that are they listed on our website. Shaadisaga has listed the best Bengali wedding photographers in Kolkata and they know how to photograph the best moments in a Bengali wedding. We have expensive as well as budget wedding photographers in Kolkata on our website to help everyone make a choice as per their budget and other requirements. How does ShaadiSaga help in hiring a wedding photographer in Kolkata? Congratulations on choosing us for your wedding planning needs. Simply, register with us and check the profiles of wedding photographers in Kolkata. Compare their pricing, packages, location, payment terms and portfolio. Shortlist a few and contact them to discuss for further details and a quote. As soon as a photographer receives any request, he usually responds within 24-hours. The wedding manager, we attach with searchers also help them in the negotiation and booking. If you want to hire one of the best wedding photographers in Kolkata, here are a few mistakes you should avoid. Don’t start searching for a photographer without being clear about your requirements. Otherwise, you may end up choosing someone who is not very suitable for you. Don’t make the selection without knowing about the style of the photographer. It is important to book a photographer experienced in the type of photography you want. Price should not be the only criteria for selection. You must check the quality of the work the photographer has done previously and then make the choice. Don’t blindly trust the photographer who has the best equipment. Having the best equipment does not mean he has the talent as well. They need to have creativity as well to capture the best moments beautifully. Take suggestions from the photographers, generate your own ideas based on the suggestions, share those ideas with them and then take the decision. Don’t rely on them for everything. The importance of your wedding photographs is great as these showcase the memories you will be cherished forever. Don’t forget to consider this fact while making the choice of a wedding photographer. The pricing for the wedding photography in Kolkata varies from photographer to photographer. There are several factors in deciding the price that a photographer will charge. He services and equipment to be used are some of the deciding factors when it comes to price. You can go through the profiles of Bengali wedding photographers in Kolkata on Shaadisaga and check for their charges. There are many budget wedding photographers in Kolkata listed on our website who mainly offer services like traditional photography. Artistic, vintage and candid wedding photographers in Kolkata as well as cinematographers charge higher rates. You can find wedding photographers with different charges on Shaadisaga and we can help you in getting the best deal. Generally, prices for a 2-day wedding photography package start from Rs. 50,000 and can go up to Rs. 80,000. Shaadisaga can help you plan your entire wedding. We provide you with a number of services which can make your wedding planning much easier. Wedding venues in Kolkata:You can find the best wedding venues in Kolkata listed on our website. 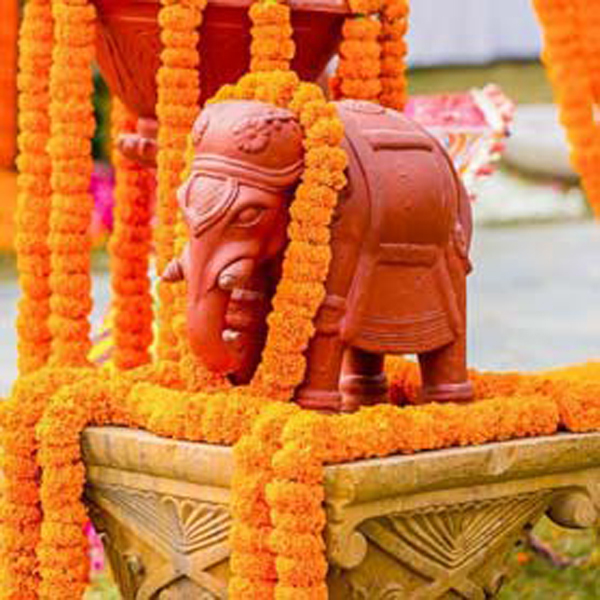 Wedding decorators in Kolkata:Your wedding venue must look beautiful and our experts will help you choose the best wedding decorator in Kolkata to make it happen for you. We have traditional as well as modern decorators on our listings. Wedding invitation in Kolkata:The invitations are an important part of a wedding and they have to be very special. The best wedding card designers in Kolkata are listed on our website and you can choose from them as per your need and budget. Choreographers in Kolkata:Learn the best moves for your wedding functions from the experts. The best wedding choreographers are listed on our website. Wedding planners in Kolkata:A wedding includes many things and you cannot handle everything on your own. So, hire an expert from the wedding planner with Shaadisaga. Mehedi artists in Kolkata: Beautify your hands with the auspicious and gorgeous colour of Mehendi. We have the best Mehendi artists in Kolkata on our listings. Makeup Artists in Kolkata:Every bride wants to look perfect on her wedding day. Book your makeup artist through Shaadisaga to get the look you always wanted. Can I get some discount through Shaadisaga on wedding photographers? Yes, you can get a discount on wedding photography services when you book through Shaadisaga. We have the best Bengali wedding photographers in Kolkata listed on our website. They offer amazing photography and videography packages with handsome discounts. We at Shaadisaga help you to get the best deal suitable to your needs and budget. How much amount do wedding photographers in Kolkata charge for 1-day or 2-day photography? The amount charged for 1 day or 2 days of photography varies from photographer to photographer. It also depends upon the style of the photography you want for the wedding. We have expensive as well as budget wedding photographers in Kolkata on our listings. You can go through their profiles and know about the charges. Are the photographers listed on Shaadisaga professionals? Yes, the photographers listed on our website are trusted professionals and the best wedding photographers in Kolkata. You can be assured of the quality of services they provide as they are listed by us only after verifying them through a strict background check. Which is the best pre-wedding shoot location in Kolkata? There are numerous beautiful locations in Kolkata which are preferred by pre-wedding photographers in Kolkata for shoots. However, the choice of the location depends upon the theme you want to adopt and the budget. You can discuss with the photographers to know about the best pre-wedding shoot destinations in Kolkata. What are the main points I should discuss with wedding photographers before hiring them? Starting from the wedding date and venue, you must discuss every single detail with the wedding photographer. Tell them clearly about your budget. Also discuss the various functions that will be happening as part of the wedding functions like haldi, sangeet, reception and many others. Discuss your ideas with them clearly and ask for their suggestions. Know about their payment policies, refund policies, cancellations charges and taxes. Ask if there will be any extra charge for the equipment they use. What are the other wedding services in Hyderabad listed on Shaadisaga? You should discuss several important points with wedding photographers in Kolkata before hiring them. Should we have separate wedding photographers for the bride & groom side? Although, this decision depends upon the choice of the individual, it is recommended that you should go with the same photographer. If you hire the same photographer, consistency is maintained. Additionally, you can get amazing discounts on combined package. Photographers have multiple teams to ensure everything is covered and nothing is left out.